Self-regulation develops rapidly during the toddler years and underlies many important developmental outcomes, including social-emotional competence and academic achievement. It is important to understand factors that contribute to early self-regulation skills among children at risk for adjustment difficulties in these domains, such as children growing up in poverty. 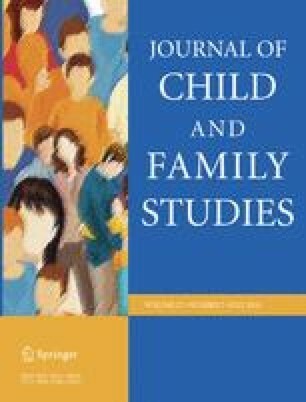 The current study examined mother-reported child temperament (negative affect, effortful control) and observed maternal parenting (during a mother–child free play) as contributing factors to toddlers’ observed self-regulation during delay of gratification tasks at 27 months (snack delay) and 33 months (gift delay). Participants were 198 toddlers (Mage = 27 months; 53% boys; 48% non-Hispanic white) and their mothers from low-income families. Mothers’ negative parenting characterized by negative affect, hostility, and negative control was associated with poorer self-regulation contemporaneously. Toddlers’ lower negative affect and higher effortful control predicted better self-regulation at 33 months, but positive parenting characterized by positive affect and sensitivity moderated these associations at both time points. Specifically, we found a buffering effect of high positive parenting among toddlers with a temperamental risk and a deleterious effect of low positive parenting despite toddlers’ temperamental strength. Results highlight the importance of positive parenting for fostering the development of self-regulation among toddlers growing up with poverty-related and child-level risks. This study was funded by the National Institutes of Health (1R01HD069179). All study procedures were in accordance with the ethical standards of the institutional research committee, and were approved by the Institutional Review Board at the University of Michigan (HUM00045015).